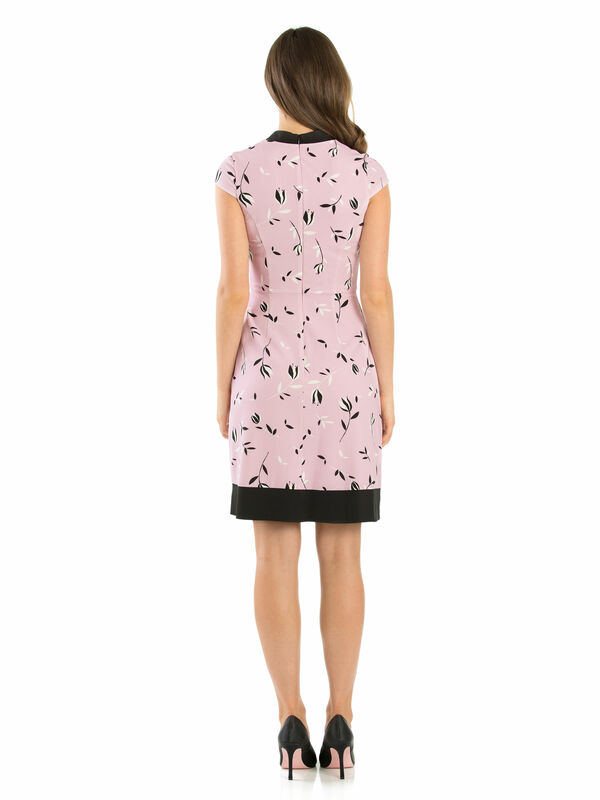 My Sweetheart Dress https://www.review-australia.com/au/my-sweetheart-dress-pink/RE19DR238.REPNK078.html Full of charm, this My Sweetheart Dress is perfect for days at the office or that last minute party. The fitted dress has a feminine silhouette which is completed by the contrast black bow at the neckline and the sweet floral print. The skirt is fully lined and it has a zipper at the back for comfort. My Sweetheart Dress is rated 4.7 out of 5 by 7. Rated 5 out of 5 by Dils86 from A favourite now! This dress was my wild card in a biggish online order. I hadn't tried it on or even seen it in store but it was a good deal and I thought I could always return it if it didn't fit. But it fit perfectly and so comfortable too! Many compliments when I first wore it out. A definite favourite now! Rated 5 out of 5 by Dani K from Versatile dress This dress has a smart casual look which is perfect for work but also great for going out in. The material is stretchy and fits to your body without feeling tight. I really love the design and colour too! Rated 5 out of 5 by Jeevi from Nice pattern, unique colour and correct length I liked this dress the very first time I saw it. I can’t wait to wear the dress. I had to buy the size 12 as size 10 was tight at breast and abdomen area. Rated 5 out of 5 by Suziie from Great fit Only received this a week ago and haven’t worn it yet but tried it on and fits perfect as all my other purchases have made with Review. Rated 4 out of 5 by Marooch from Great style and fit Great outfit can be worn on its own or team it with the Review black short jacket. Also matches well with Review black bow shoes. Rated 4 out of 5 by EllieB from Vintage dress Received the dress as a gift from hubby. Looked so vintage and the colours just popped.